There are numerous great reasons to clean your indoor carpeting in Bensalem, PA. When you clean your carpets, you definitely improve the appearance of your home. Even careful families end up with dirt and stains in their carpeting. Dirt comes in on the bottoms of shoes and even through open windows and doors, not to mention on the fur and feet of pets! Spills are inevitable and stains are a very common problem in carpeting. You‘ll feel better and your entire house will look and feel cleaner when your carpets are clean. When your carpets are clean, your children and pets have a healthier surface upon which to relax and play. Because we provide a thorough cleaning with biodegradable cleaning agents, there will never be toxic residue left in your carpeting that could possible endanger the health and well-being of any of your family members. Clean carpets contribute to better air quality in your entire home in general. Clean carpets last longer! Since your carpeting is such a huge investment, doesn’t it make sense to protect and preserve it? When OxiGreen in Bensalem, PA cleans your carpets, we will provide you with a deep cleaning. Our modern, truck mounted equipment and 100% green carpet cleaning agents are a winning combination. We are able to remove the dust mites, pet dander, dirt, bacteria and other potential that settle deep in your carpeting which, unfortunately, most carpet cleaners and vacuums never reach. 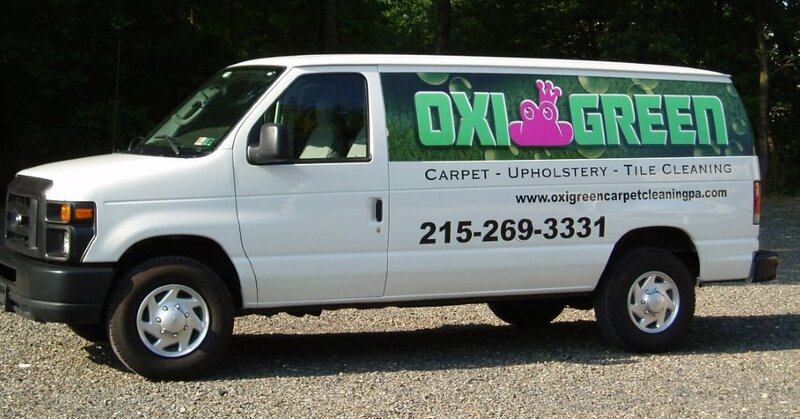 Let OxiGreen in Bensalem, PA come to your home or business and do a great, green carpet cleaning job for you. Our helpful reps are available at 215-269-3331 to answer questions, schedule a free on-site carpet inspection, or schedule a cleaning appointment for you. With our highly trained technicians and our state of the art equipment, we guarantee you’ll be please with an OxiGreen clean!